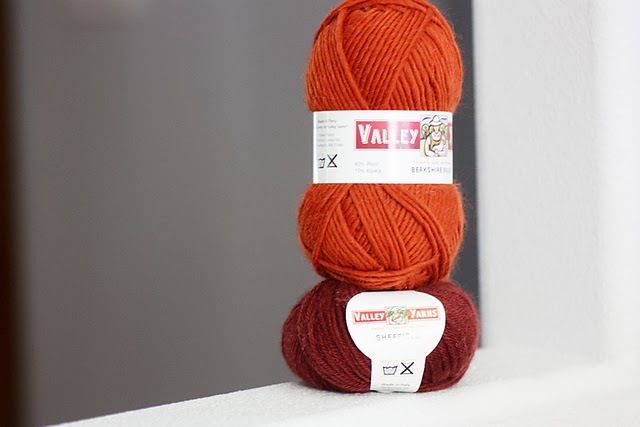 The orange is Valley Yarns Berkshire Bulky (85% wool, 15% alpaca, 108 yards/100 grams): color 18, Copper. Hmmmmmmm. I'm loving the first Oddments pattern! Nice to have a preview of the yarns up next so I can stash dive. Thanks, Romi! Awesome and YES! I think it's time to knit something for the guys in our life. Yes, yes, yes!!! Something for the men would be awesome!!! Love the orange-on-rust combo. And men's/unisex patterns are always needed! So excited! The next shawl, and the next Oddments. My knitting is turning into all Romi all the time, and I love it! 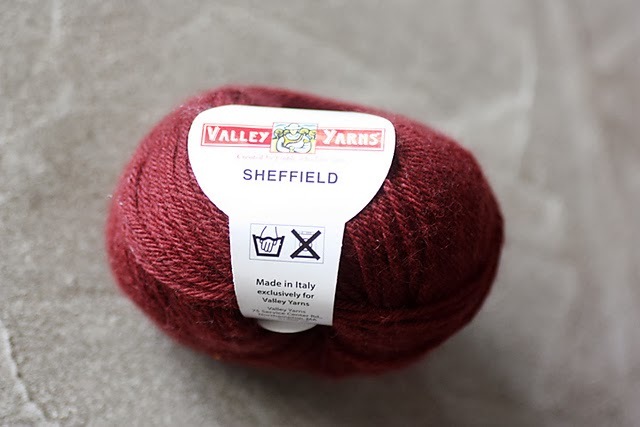 Is it possible to get type of yarn for y4 shawl before the release.